Johnson Roofing & Construction is Omaha's best roofing contractor. 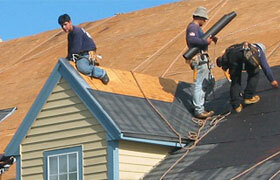 We handle all types of roof repairs and roof replacements. Click on a link below to see details on the specific type of roof for your next roof repair or roof replacement. Johnson Roofing & Construction is the best choice in Omaha for all types of commercial and residential siding installations. We carry a variety of siding types from national brands. Click on a link below for more information about a specific siding type. 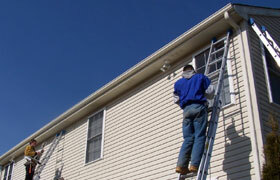 Johnson Roofing & Construction can remove your existing gutter system and install a new, seamless system in its place. 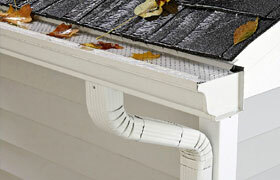 Click on a link below to for more information on a specific type of gutter system. Johnson Roofing & Construction carries a line of vinyl and wood windows from Vinylmax®, but we can install any window of your choosing. 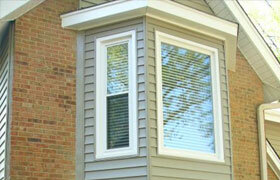 Click on a link below to view specific information about our line of Vinylmax® windows.